Because the victim is of Muslim background, social media exploded with calls for authorities to charge the perpetrator with a hate crime. However, unless additional evidence surfaces, the offense is more likely to be charged as an assault crime in Florida. Hate crimes require certain types of proof, so it is important to understand how these cases work under state law. 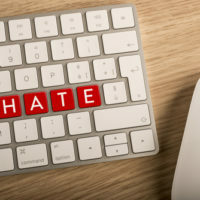 State lawmakers passed the first hate crime statute back in 1989, as they realized that criminal offenses motivated by bias against certain classes of people were more harmful to society as a whole. The law did not create a separate category of criminal activity, but implemented a structure of enhanced penalties where prosecuting attorneys could present evidence showing that the accused was prompted by hate. In the case of the Boca Raton, FL fight, there are several details revealing that the two students’ dispute was over romantic interest in a boy – not the Muslim girl’s background. The police investigation continues, but the current facts do not support an arrest for a hate crime. A First Degree Felony becomes a life felony, which means a potential for life in prison. If you are charged with any type of assault or hate crime, you need a skilled criminal defense lawyer to represent your interests. For more information or to schedule a consultation, please contact Fort Lauderdale attorney Kevin J. Kulik.